This is a blog full of advices, ideas, tips, and suggestions especially made for teens. Several topics will be discussed from beauty tips up to tasty recipes! It's all here on www.advicereflection.blogspot.com! It's known that most teens take care of their looks. A big part of their beauty includes also hands and nails. What I will be mainly listing today will be all about nail care and how to exactly treat what condition you might have, including tips on how cut and treat them. Take a bowl and put some olive oil in there. Then dip your nails for about 10 minutes. This nourishes them and makes them stronger, therefore, less breakable. Repeat this process every other day and simply when needed. How to cut hard nails? If your nails seem hard to cut simply put them in warm water and add a little salt. Then keep them in there for about 10 - 15 minutes. This should make your nails softer and therefore easier to cut without damaging them. Do you have yellow and dull nails? Want to get rid of that? 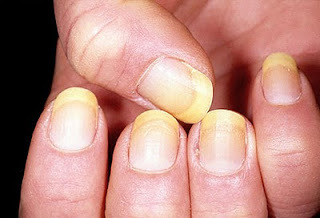 Yellow, dull nails can be caused by either vitamin deficiencies or constant use of dark nail polishes. There are 2 ways of getting rid of yellow nails. Mix and put your nails in it for 10 - 15 minutes. 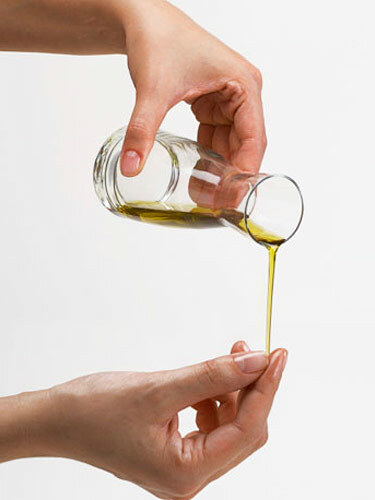 Another way includes rubbing your nails with white vinegar and then washing them with warm water and soap. Do you bite your nails? You want to stop? In this case you can simply go to the pharmacy and buy yourself the stop nail biting polishes. They taste awful and therefore make it much easier to stop your bad habit. 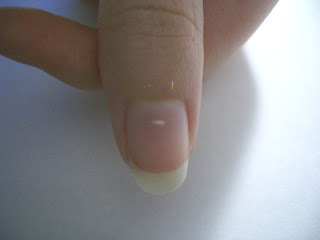 Also you can try putting on artificial nails which you won't really want to bite - this is also one good way of stopping. Try one of those two and it should really help. Of course, along with those two techniques you should also be strongly determined to stop and really want to get rid of this bad habit. What to do against peeling nails? To avoid peeling nails, don't use cheap drugstore nail clippers which damage your nails even more; and make sure you file your nails at least 3 times a week starting from the middle and then going to the sides. Also peeling and splitting nails may be caused by low calcium, vitamin A, D, and B12 deficiency, so make sure you increase your intake of dairy products and foods that include the specified vitamins. Also don't expose your nails to any chemicals and wet conditions since this might be another reason why your nails are getting peeled. 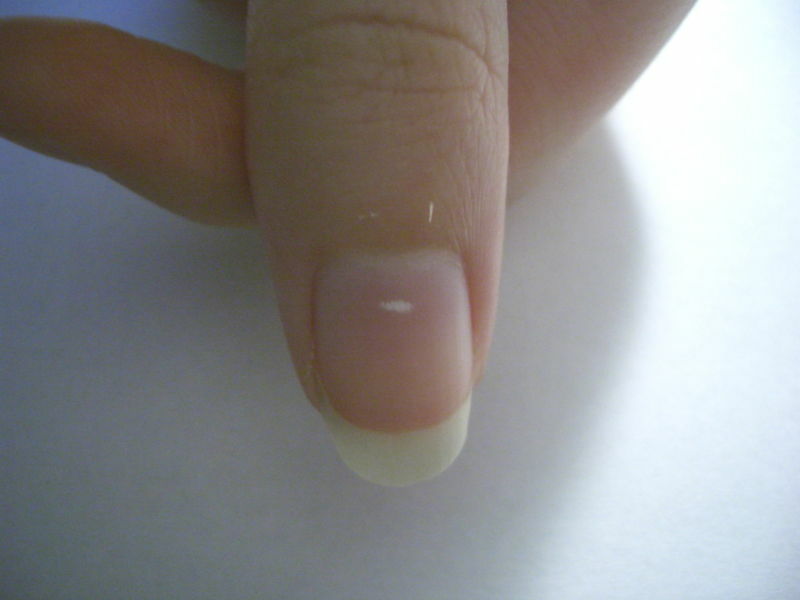 What to do against white spots on your nails? Those spots are caused due to nail dehydration and lack of keratin. Also nail trauma and pressure applied on nails can cause those white lines and spots and this is most likely the reason for that. The only cure for those is time (wait until you can cut them off which usually takes approx. 8 weeks) or simply cover them up with some nail polish. In addition to that, don't forget to drink a lot of water to nourish your body and nails. What to do against cuticles? 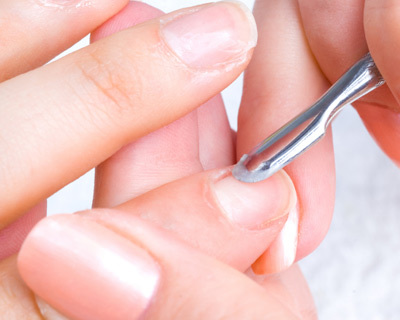 Cuticles can be caused by dry skin around nails which causes them to crack and peel. In that case you shouldn't cut them with unsterilised scissors because that can cause redness, swelling, and even infections. When you get cuticles around and under your whole nails then you should make sure you moisturise them with moisturising cream and olive oil daily. then you should cut them with sterilised scissors but not too close to your skin. If you get cuticles immediately under your nail then it's best to push it back down using an orange stick and also moisturise every day with cream and olive oil. 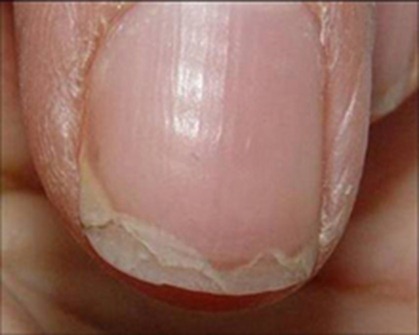 What to do against nail ridges? 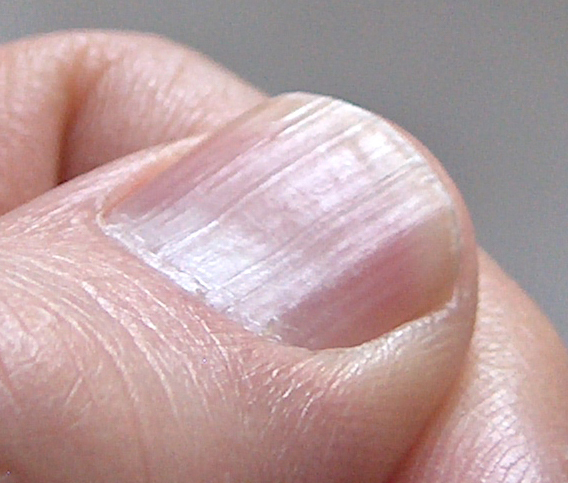 If you have nail ridges, it's most probably caused because of malnutrition or the lack of vitamin B. It's also best to include a healthier, more nutritious diet that would benefit your whole body in general. What to do about hangnails? Hangnails are caused due to vitamin C, protein, or follicle acid deficiency. 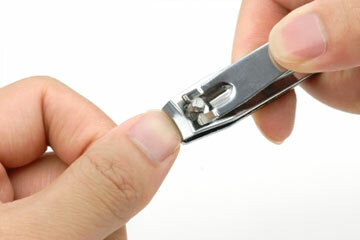 To get rid of hangnails you should first dip them in warm water. 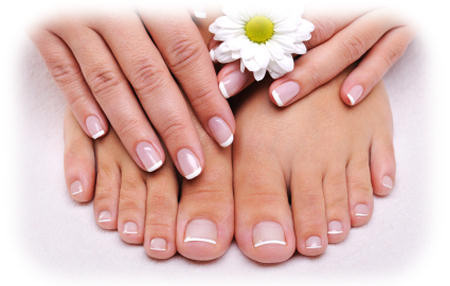 then soften them by applying moisturiser and cut them using cuticle scissors. 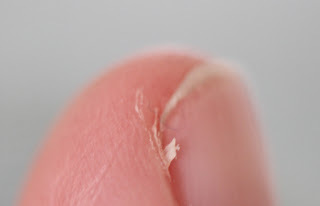 Repeat this cycle whenever new hangnails appear and don't forget to always keep your nails damp and moisturised. I'm back at the end of my article and I truly hope it helps and benefits you. Please comment and rate this article, I'd be very thankful for that. i always have those white spots on my nails n never knew they were cuz of dehydration! that was veryy helpful, keep posting new stuff! Thanks for sharing this information. Now you can Buy Beauty Products Online and that too at never before prices. International brands like Maybelline, Loreal Paris, Wet n Wild and much more are available at this never-ending display of beauty and skin products. What to do against sunburns? How To Make a Perfect Smoothie!